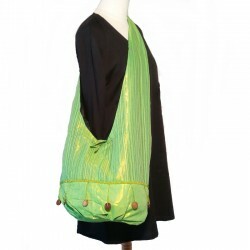 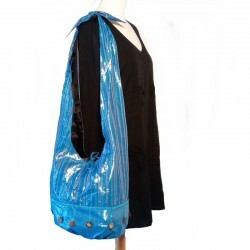 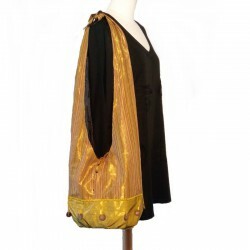 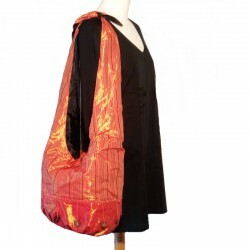 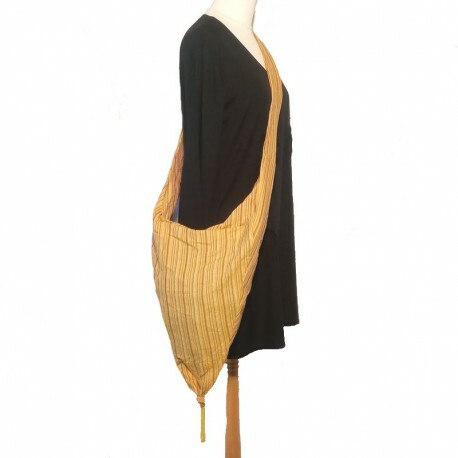 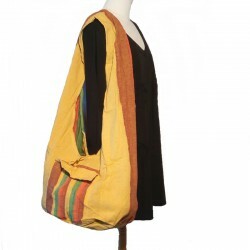 Shoulder Bag pointed shape light yellow cotton ending with yellow beads. 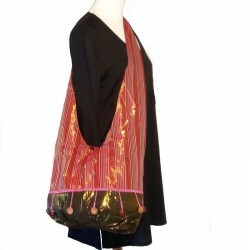 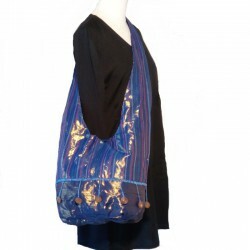 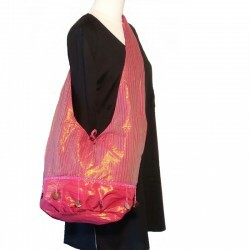 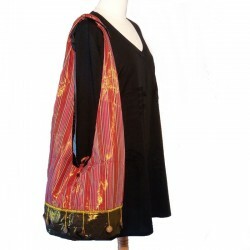 Original ethnic bag made in Indonesia. 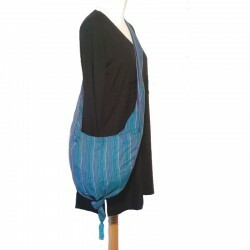 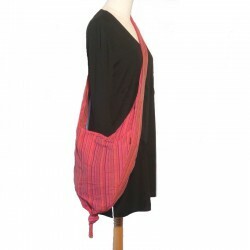 Zip closure, a small pocket inside the shoulder strap and a zipped pocket inside the bag.